One in four consumers eat healthy when dining out. 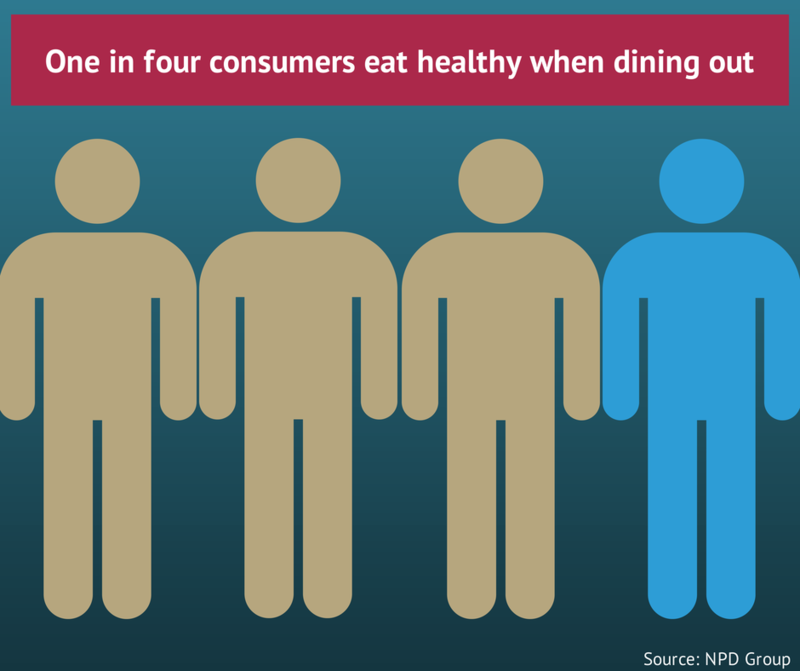 What are the reasons why consumers don’t make healthier choices when dining out, according to NPD Group? 37% percent of consumers said they want to eat what they want when they go out. Many simply don’t pay attention or don’t feel that watching what they eat is a priority. A number of people don’t find enticing healthy options on menus: 14% note a lack of variety among healthy items and 13% say healthy items don’t sound or look appetizing. If you’re looking for healthier options, look no further than Foothill Farms® Flavorwise™. Each product was created to help you offer more without sacrificing taste. There are 28 smart options to choose from and to help you create a diverse menu. All products with the Flavorwise designation are conscious of sodium, fat and don't contain added MSG, so your customers can make smarter choices.